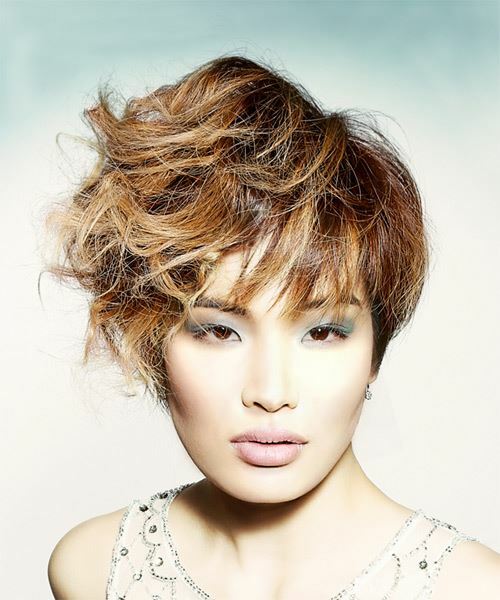 This short and funky 'do is cut short through the back and sides, while the top is jagged cut and left longer to achieve this asymmetric style. The top is curled then teased to create height, lift and texture for a fab finish. The bangs have been layered to dust the eyebrows and frame the eyes. Product is needed to piece out the ends to create this look.